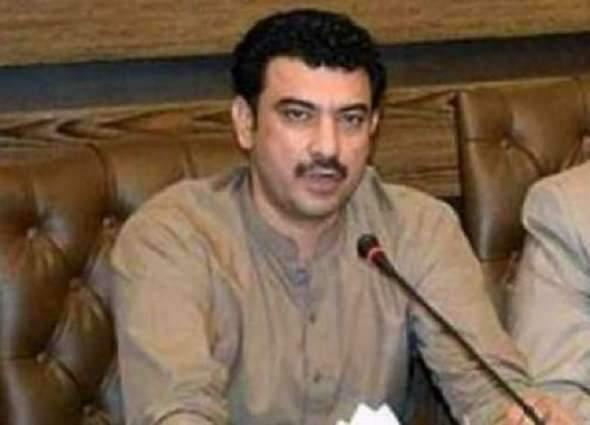 PTI govt safeguarding basic rights of people: Provincial Minister for Human Resources and Developmen ..
SARGODHA, (UrduPoint / Pakistan Point News - 17th Apr, 2019 ) : Provincial Minister for Human Resources and Development Ansar Majeed Niazi said on Wednesday that under a comprehensive strategy, the PTI government would maintain the pace of progress and prosperity for safeguarding the basic rights of people. Talking to delegations belong to different walk of life here at PTI secretariat, he said that Pakistan Tehreek Insaf was the single popular political party and the workers were its real asset. On the direction of Prime Minister Imran Khan, he said the government was taking steps for resolving the crises and bringing prosperity and progress in the country. Ansar Majeed said the PTI government was also taking steps for the eradication of unemployment and corruption from the society.